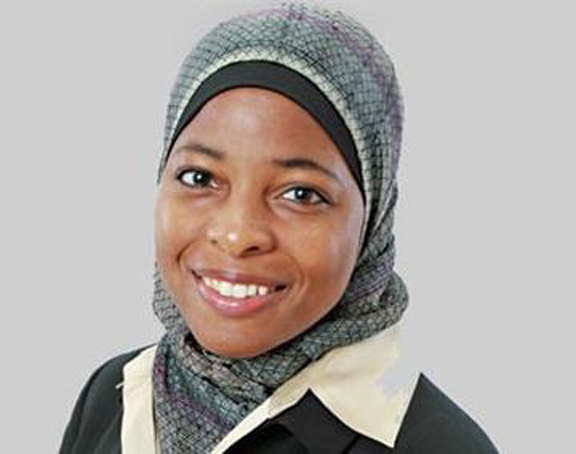 Baltimore-born scholar Intisar A. Rabb, a leading expert on Islamic Law and legal history, was recently appointed as a tenured professor of law at Harvard Law School (HLS), joining the faculty in spring 2014. At HLS, she will be a faculty director of the Islamic Legal Studies Program. Rabb’s family said the recognition is well-deserved and they are overjoyed by her achievement. “It is a great honor, and we’re very proud of her accomplishments,” said Saafir Rabb, 37, the professor’s older brother. The Rabb siblings—seven in all—were born and spend part of their childhoods in Park Heights, Baltimore. But, when their parents divorced, they also spent part of their time in Columbia, Md., and Washington, D.C., where their mother moved. Their humble background, the older Rabb told the AFRO, mirrored the typical Black experience in America. But Intisar never shied away from that challenge, he said. “Growing up she was a complete bookworm…. She stayed in a book,” he said of his now 35-year-old sister. She was always very academically inclined. During her last two years of high school—which was spent in Minnesota with her mother—Rabb obtained several college credits, her brother said. She later matriculated at Georgetown University, earning bachelor’s degrees in government and Arabic in 1999; she earned a master’s degree in Near Eastern Studies from Princeton in 2005 and a law degree from Yale Law School, in 2006. Rabb also holds a doctorate in Near Eastern Studies (with a focus on Islamic Law) from Princeton University. Her dissertation, which won the Princeton NES Bayard and Cleveland Dodge Memorial Thesis Prize for Best Ph.D. Dissertation, focused on the history and function of legal maxims in Islamic law. In-between degrees, Rabb served as a law clerk to Judge Thomas L. Ambro of the U.S. Court of Appeals, Third Circuit, from 2006 to 2007, and subsequently worked with members of the bench and bar in the United Kingdom as a Temple Bar Scholar through the American Inns of Court, groups of judges, lawyers and legal scholars who discuss and debate issues relating to legal practice and professional conduct. Rabb speaks Arabic and Persian and has reading proficiency in French, German and Spanish. As an African-American scholar with such diverse experiences, including extensive travel throughout Europe, the Middle East and elsewhere, Rabb will help ensure that “the scholarship being produced at the highest level is informed by a background that is more diverse,” her brother told the AFRO. Harvard Law School Dean Martha Minow said that Rabb, who is currently associate professor of Middle Eastern and Islamic Studies and Law at New York University School of Law, will be a valuable addition to their faculty. “Intisar is a first-rate scholar; she engages across historical and present-day legal issues and materials with nimbleness and contagious curiosity. We are delighted she is joining this community and look forward to supporting her keen interest in using the web and other tools for sharing accurate information about the Middle East and Islamic legal traditions with students, scholars, journalists and people all over the world,” Minow said in a statement. “Generations of students and colleagues at HLS, at Harvard, and beyond will benefit enormously from her expertise, her teaching, and her wonderful way of engaging others in discussion of important issues,” he added. Rabb is no stranger to the Harvard community. In 2012, she served as a visiting associate professor of law at Harvard Law School. From 2011 to 2013, she was a fellow at HLS’s Berkman Center for Internet & Society, where she worked with a team to develop an online database aimed at connecting legal scholars and media producers with credible, authoritative information about trends in Islamic law. In 2010, she was named a Carnegie Scholar for her research on “Islamic Law and Legal Change: The Internal Critique,” which examines criminal law reform in the Muslim world. Currently, Rabb serves on the board of the Journal of Islamic Law and Society and as an executive board member on the Section on Islamic Law and as chair-elect of the Section on Comparative Law for the American Association of Law Schools. Previously a guest editor of the Journal of Law and Religion, Rabb is also the author of several scholarly texts, including The Burden and Benefit of Doubt: Legal Maxims in Early Islamic Law, and Law and Tradition in Classical Islamic Thought, co-edited with Michael Cook, Najam Haider and Asma Sayeed. Rabb’s brother said he hopes his sister’s numerous achievements would motivate other young Blacks in Baltimore to reach for their highest potential.